Privacy is one of the most admired features of cryptocurrency, being one of the driving factors behind cryptocurrency’s growing adoption. Yet, there is discontent in the crypto community about the lack of genuine privacy. For all the advantages of Bitcoin, its privacy mechanisms are far from foolproof. It is possible to discover the details of a transaction, including the sender’s personal information with a little technical know-how and investigation. To answer this security concern, numerous coins are being developed that focus on offering stronger privacy to users. Verge is one of these “privacy” coins. It has the same purpose as a bitcoin, but the way it distinguishes itself is by offering stronger privacy. Bitcoin is not anonymous, it’s pseudonymous. Verge is striving for complete anonymity. Its intention is to be used for global transactions, with the hope that its low transaction costs and high transaction speeds will attract users into buying and spending the coin. 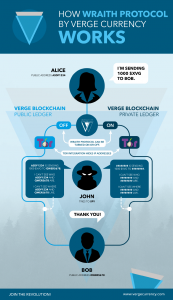 Verge integrates TOR and i2P into the blockchain which gives additional security. It also plans to implement smart contracts in the future. Verge is a community-driven project – it is entirely open source and the community has great influence on the decisions that are made. There are no pre-mined coins or ICOs, which means the direction that the coin takes will solely be decided by regular users. Coins like Zcash, Monero and Dash all have their own algorithm and technical features which, to varying degrees, ensure privacy. The question is: what makes Verge so different from other privacy coins which have developed their own distinct ways to strengthen privacy? It is the push for smart contracts that could give Verge an edge. It will have a utility that is the first among privacy-based coins, which strengthens its chances of winning over the market. Verge was launched in 2014 and was first named DogeCoin Dark. It rebranded itself as Verge in 2016. The mission of the team is to bring cryptocurrency to daily transactions, giving both individuals and businesses flexible payment options. The Wraith Protocol is the key to this flexibility, allowing users to choose between private and public ledgers. Verge is completely community-driven. No ICO was organized, nor are there any pre-mined coins. It is built on the Bitcoin blockchain network. Verge ensures privacy by hiding the user’s IP addresses through TOR and i2P integration. If you don’t know what TOR and i2P are, they let you remain anonymous on the internet by directing your traffic through a network of volunteer relays. This makes it difficult for any monitoring parties to locate your presence and precisely determine your network usage, as the traffic passes through several nodes. i2P offers all of the same benefits as TOR, with one additional advantage. It is a network within the internet. It ensures that any information passed around the network will stay within it and be inaccessible to any outside interference. i2P’s tunneling features provide an additional layer of security. A simple VPN would only protect your privacy so long as your ISP doesn’t reveal information, but the use of TOR and i2P ensures that there is complete protection. By integrating these networks with Verge, the transactions conducted become untraceable. Verges offers 5 different Proof-of-Work algorithms for mining. These are Scrypt, X17, Lyra2rev2, myr-groestl and blake2s. Providing a choice of 5 different algorithms encourages inclusion, as a wider variety of users will have the chance to mine and influence the network. Should one algorithm require greater mining resources, users can simply switch to another. The team has stated they want to provide equal access to mining and this is the reason behind the inclusion of 5 algorithms. The other benefits of having multiple algorithms are better security and the lower probability of a 51% attack. Verge also wants to make their coin as accessible and user-friendly as possible. To this end, they’ve released wallets on various platforms, with a particular focus on the mobile space. They have stated that they intend the coin to be used for everyday purposes and good support for mobile wallets will aid that goal. The preferred wallet, as selected by the team, is Electrum, because it has native support for TOR and i2P. Electrum is a well-respected wallet that is fast, user-friendly and not resource-intensive. Users can also store their coins offline. This cold storage option is an excellent way to safely store your coins. If you’re in doubt as to what cold and hot storage is, read our guide on choosing wallets. Electrum also requires multi-signature support. It works like this: you’ve got Electrum on both desktop and mobile. In order to conduct a transaction, a signature will have to be verified from both devices before it takes place. This way, theft is less likely to occur because both devices would have to be compromised. Verge actually has two mobile wallets: one operates on TOR and the other on i2P. Both of these wallets operate like Electrum in that a user does not need to download the entire blockchain. Through the Simple Payment Verification (SPV) technique, transactions present in a particular block can be verified. The SPV technique allows for rapid transactions, because much less block information is downloaded. Verge’s wallets will also support paper wallet QR codes. Arguably the most compelling feature of Verge is the Wraith Protocol. This protocol allows users to select between a public and private ledger. When the wraith protocol is in use, the private ledger is used and transactions are not visible on the blockchain. When it is turned off, the public ledger is used and transactions are visible on the blockchain. TOR is used in both cases to obfuscate the IP address. On the private ledger, the sender and recipient will not be visible to intruding parties. This is a good solution to the demand for some transparency in cryptocurrency. When a store or merchant wishes to record transactions for accounting purposes, the public ledger will come in handy. Verge gives users the options to transact privately or publicly. 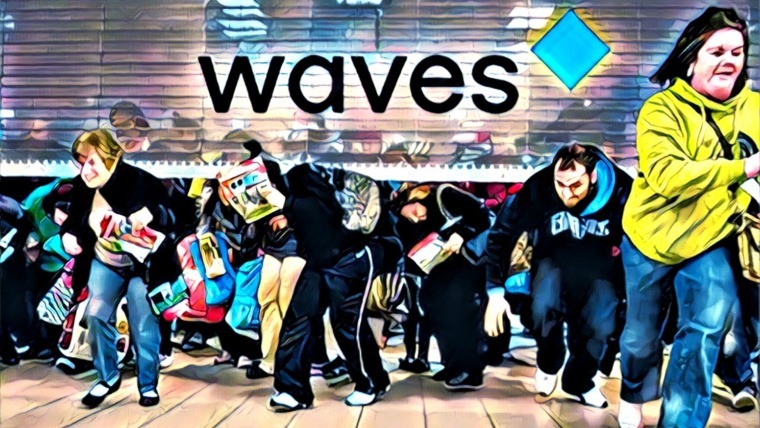 Verge uses a technique called stealth addressing to somewhat anonymize transactions. To put it simply, it prevents a third-party from being able to see who is the recipient in a transaction. The sender is still discoverable. In this technique, a one-time public key is generated that is visible to the blockchain, but the sender and recipient are the only ones aware that they are the involved parties. The recipient will have a one-time private key that corresponds with this one-time public key which will allow him or her to access the funds. This prevents the recipient from ever having his addresses publicly linked to a transaction. Stealth addressing is nothing new. Monero is another coin that uses this technique, as does Vertcoin. Verge seems to be hoping that, in combination with hidden IP addresses, it will form the most robust solution to the privacy problem in cryptocurrency. To protect the sender, Verge is looking into a method called Ring signatures. This is still in the research stages. Rootstock, a sidechain, could be Verge’s secret weapon. It will integrate smart contract functionality into the network, something which no other privacy-based coin is doing. Rootstock, abbreviated RSK, is an independent blockchain that uses Verge tokens to conduct smart contract transactions on its blockchain. The value of a RSK token is equivalent to a Verge token. The idea seems to be to challenge Ethereum’s smart contract platform by providing easy-to-use mechanisms. A user’s Verge token will be reserved on the RSK chain, which can then be used on the RSK network for spending. The team likens it to storing money in a checking account. Another standout point is that RSK achieves 400 transactions per second. Currently, Verge transacts at a rate of about 100 transactions a second. The implementation of RSK would be great progress. The RSK development team has a goal of achieving 2,000 transactions per second. Should that succeed, it would make Verge one of the best tokens to use for global transactions. Why is the Verge Token Needed? Cryptocurrency coins aren’t as private as users would like it to be. 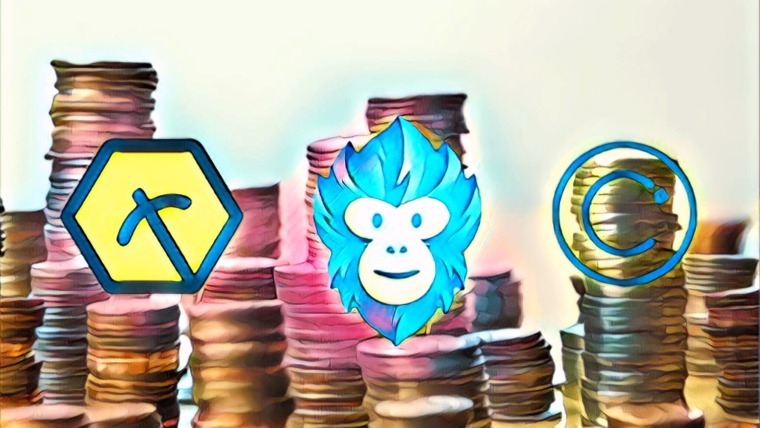 The existence of several coins that are offering better privacy features are a testament to the fact that it is one of the desired features in coins. People would like their transactions to be completely anonymous, but few coins can offer this. However, there’s resistance to fully-anonymous coins as well. The worry is that a system with untraceable transactions will be a breeding ground for criminal activity. This is one of the main arguments that governments put forward for the regulation of cryptocurrency. Nonetheless, privacy is a fundamental right that every person is entitled to. The problem is that a lack of privacy in transactions is more dangerous than the possible rise in criminal activity. If a connection is made to your personal data on a single transaction on the blockchain, your entire transaction history is exposed. Furthermore, if a business conducts a transaction in cryptocurrency, a competitor can see the payments arriving and leaving the account which is information that could compromise the business. Verge will allow a business to keep its transactions private and maintain an advantage. The team dives into the technical details of privacy implementation in the Verge “black paper”. It is well worth a read. Verge is a passionate community project and consequently much of the work is executed by volunteers. Over 200 volunteers are committed to the project. The main team comprises 13 individuals with experience in various fields. Sunerok is the Lead Core Developer and the founder of Verge. His expertise lies in network security and blockchain, with 20+ years of experience in the former and over 6 years in the latter. CryptoRekt, a Senior Systems Engineer at Cisco Enterprises, is the Chief Marketing Officer. He authored the Verge black paper. He has a decade of experience in cryptocurrency. Other prominent members of the team include Sasha, the Vice President of Operations, and Kieran Daniels, the Vice President of Marketing. Overall, Verge’s team is quite experienced and well-respected, which bodes well for the future of the coin. There are several coins that are trying to offer total privacy whilst also remaining viable for large-scale use. Each brings their own method and Verge is by no means certain of winning this particular cryptocurrency war. Its main competitors are Monero, Dash, PivX and Zcash (among others). Like Verge, Monero uses stealth addresses to protect recipients but it also uses Ring signatures to protect senders. Monero uses a mixing technique where a transaction is mixed with other transactions to confuse any outside observance. Monero offers total privacy, hiding information about the sender, recipient and transaction amount. However, Monero’s direction is mostly decided by the team and there is no standard voting system. Moreover, transaction fees are rising with the token price, as with Bitcoin. PivX is an up and coming privacy coin. It plans to implement the Zerocoin protocol which will only further increase its security strength. The coin’s use of Proof-of-Stake algorithms also favors the users more than Proof-of-Work algorithms. However, PivX uses masternodes, which have a larger influence on the network. Should a masternode be compromised, the network will suffer greatly. PivX also does not hide the IP address and amount sent. Dash also positions itself as a privacy coin, but it is nowhere as anonymous as the other coins listed here. The mixing technique it uses is also slow. It is the features beyond privacy that Dash offers that makes it a strong competitor. The governance model of masternode voting is also an excellent feature of Dash. Zcash uses zk-Snark cryptography to protect information. The bad news is that 20% of the coins have gone to the developers. Hiding IP addresses isn’t much by itself. Yes, Verge is looking to implement more security features and the fact that the wallet integrates natively with TOR and i2P really stands out. However, there’s a lot on the roadmap and it’s a concern that the development is not proceeding at an appreciable pace. 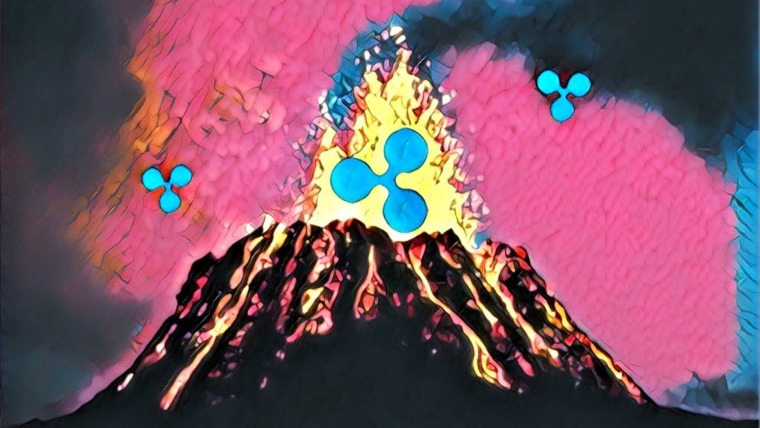 Verge missed the deadline of its Wraith Protocol implementation, which may have been the reason its value took a hit last year. The development progress has also draw concern. However, it has been keeping the community updated which is always welcome. 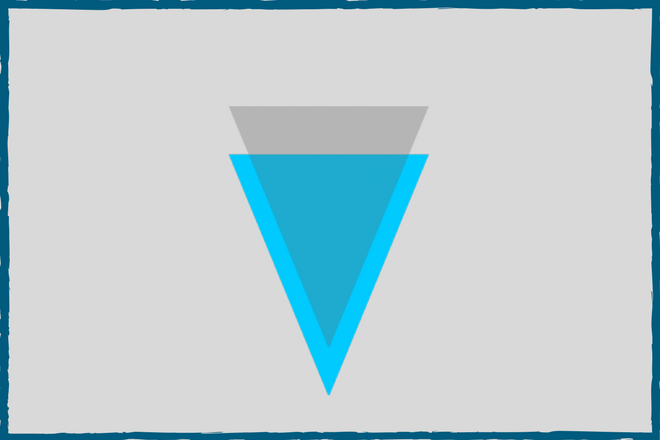 Purchasing Verge tokens (XVG) is simple. However, you can’t buy it directly, so you’ll need to first buy Bitcoin or Ethereum, and then purchase Verge with it. Cryptocurrency exchanges that support Verge are Bittrex, Binance, Changelly and BitSquare. To purchase the coins, visit one of the Verge-supported exchanges listed above. You’ll have to set up an account and wallet. If you’re unsure about how to set up a wallet and use an exchange, read our guide to using Bittrex. The process is more or less the same across the different exchanges. Once you’ve set up your wallet, you’ll have to purchase Ethereum or Bitcoin. Once you’ve purchased Ether and it’s in your wallet, go to the “exchange” section on the exchange and trade the desired amount of Ether or Bitcoin for Verge. Verge is a capable currency in a lucrative niche. 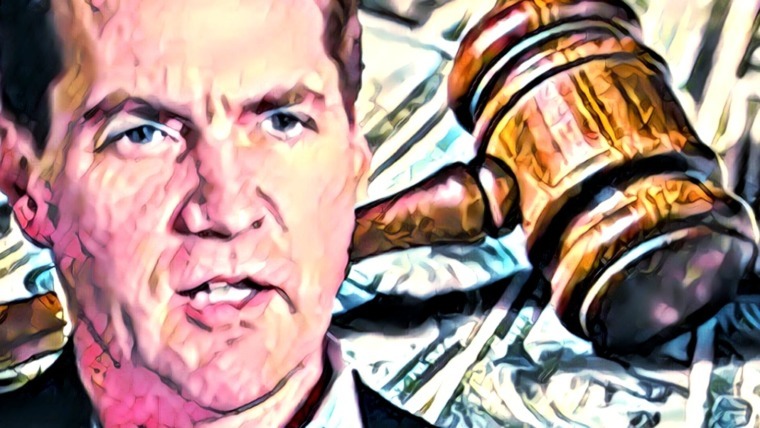 The privacy race is still just beginning and there’s no indication that any one coin is going to win. Verge’s community-oriented approach is a positive sign, but it must be backed up by consistent progress. Its anonymity is also not perfect. It is certainly better than Bitcoin, but like every other privacy coin, there are disadvantages. Perhaps the RSK implementation will give it an edge over other coins in 2018. Time will tell. The development team is a solid one, with multiple years of experience. However, with privacy coins, it will be the level of privacy achieved that dictates success. If Verge can provide all-round anonymity while maintaining the necessary features for becoming a global payment system, then it will do well. If you have thoughts on Verge and which privacy coin looks most likely to succeed, let us know in the comments below. Very good article! I really would like some educated feedback to it though. I think verge is in total fud phase at the moment which potentially makes it a great buy. To load up up and hold or not….that is the question!? Awesome work. Verge is a solid project, which is rarely in cryptoworld.